I'm just a girl, standing here, making fun of that. 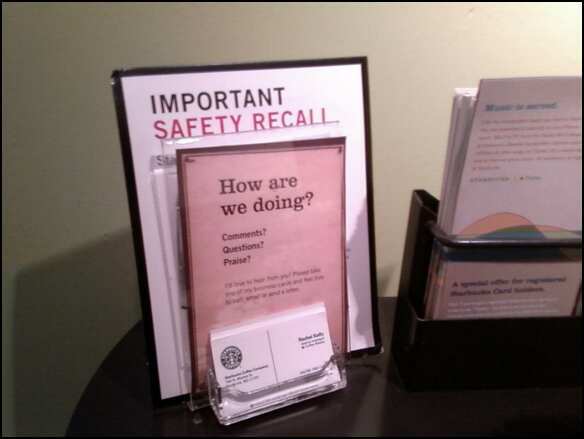 Starbucks has so cleverly hidden their IMPORTANT SAFETY RECALL message behind another sign. No one will ever think to check behind it. Hear that, Willy the Janitor? 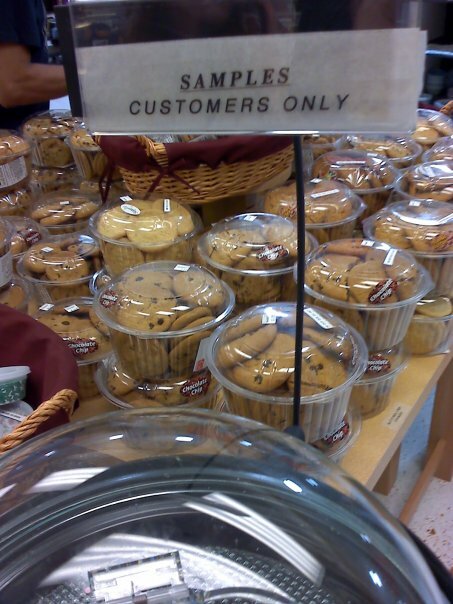 STOP STEALING THE SAMPLES!